Hövelhof Highway strip (german: Autobahn-Behelfslandeplatz Hövelhof) was a stretch of highway (german: Autobahn) in the Autobahn A33, between the intersections of Bielefeld and Paderborn. Despite being a normal highway, this site was used at least once during exercise "Cold Fire" in 1985. The parking on both sites was used as a logistic site and the highway served as a 1100 m runway for the Harriers. 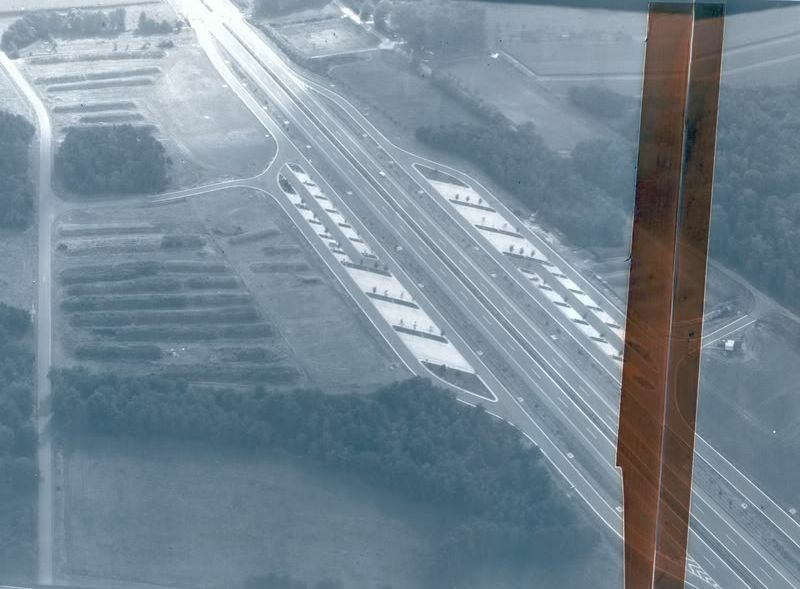 In addition to the Autobahn, the squadtrons also used steel matted landing pads in the woods next to the runway. The parkings along the A33 near Hövelhof, looking south. These were used as a logistics site during Cold Fire 85, while the runway in between served as a runway for RAF Harriers of RAF Gütersloh. This composite photo was shot from a Harrier (which had a secondary reconnaissane role and made of two overlapping shots, hence the aged dark tape (PPRuNe). 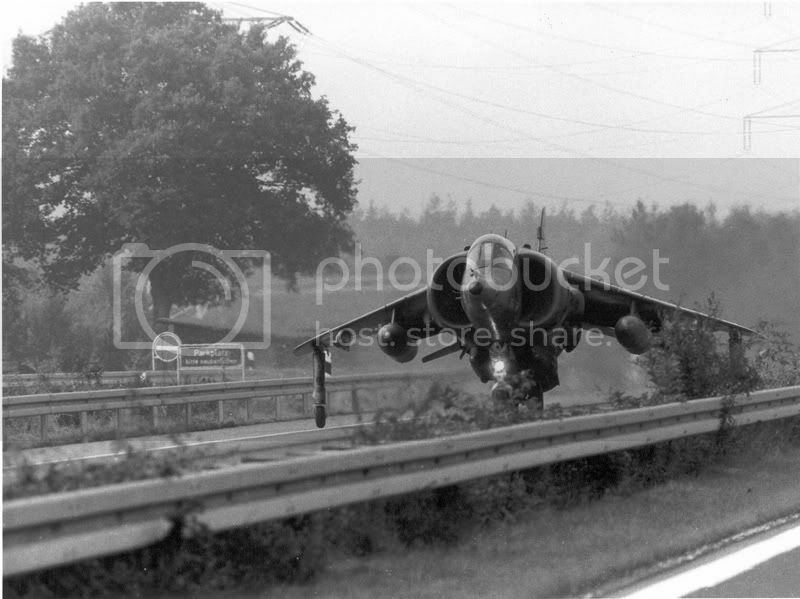 A BAe Harrier GR3A near the parking area (Parkplatz) on the southbound lane of the A33. Notice the power cables close by in the background (PPRuNe). Today, the parking areas still exist, although they were expanded. The Autobahn stretch that served as a runway appears undiscernable from any other highway in Germany.